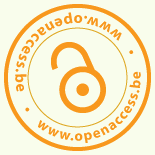 Last week, two new European projects focusing on Open Access: FOSTER and PASTEUR40A had their kick-off meeting. Both projects have a significant and representative list of partners, and I am sure that you’ll recognize a lot of them. FOSTER is identifying already existing contents that can be reused in the context of the training activities. If you have any suggestions, please send them to me! Building on and deepening existing open access networks in Europe (such as the OpenAIRE network), I believe that these projects will cover two practical needs in the European OA community: the need for bottom-up action and trainings and the creation of a framework where support and assistance on policy level is coordinated and facilitated. If you have any questions or suggestions, don’t hesitate to contact me !